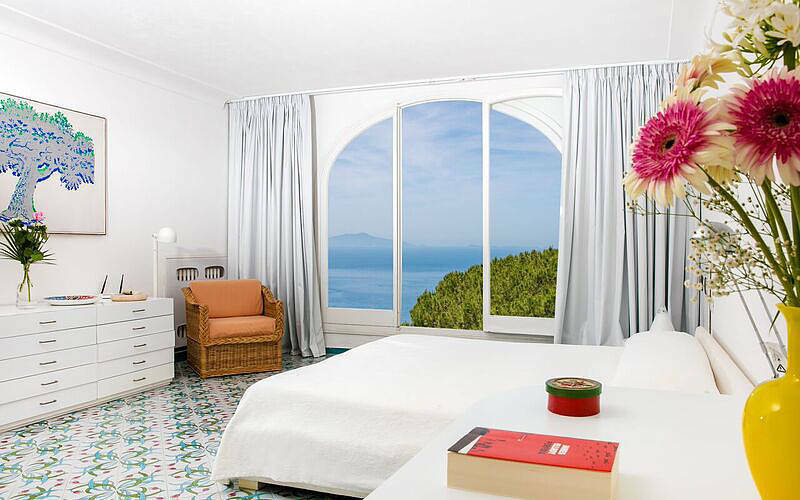 The view stretching out as far as the eye can see from Villa Jasmine will take your breath away. 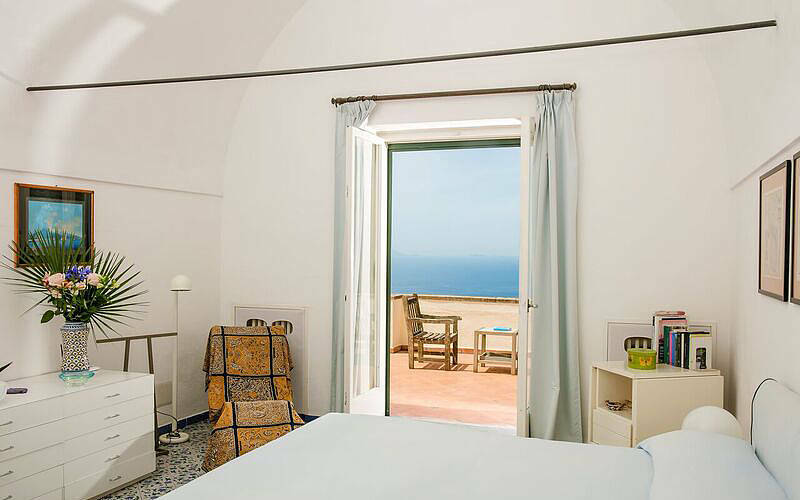 From the sweeping terrace with a pool perched directly over the waters of the Mediterranean, you can drink in an unforgettable vista of the Bay of Naples, with the towering peak of Mount Vesuvius and the romantic islands of Ischia and Procida on the horizon. 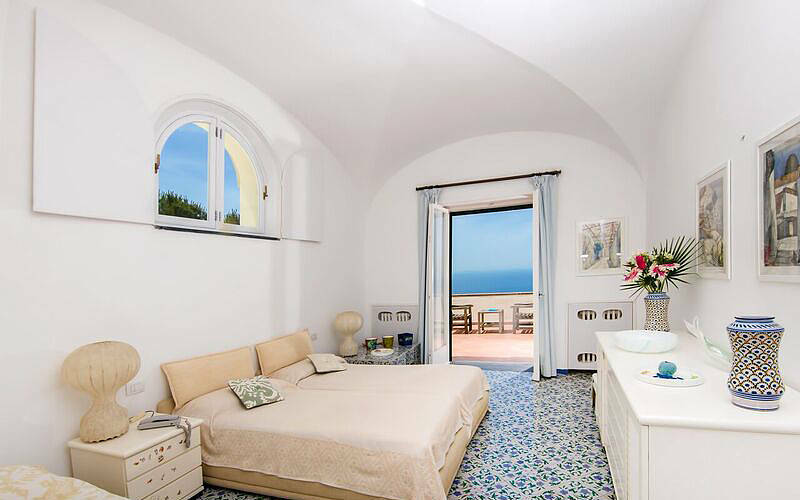 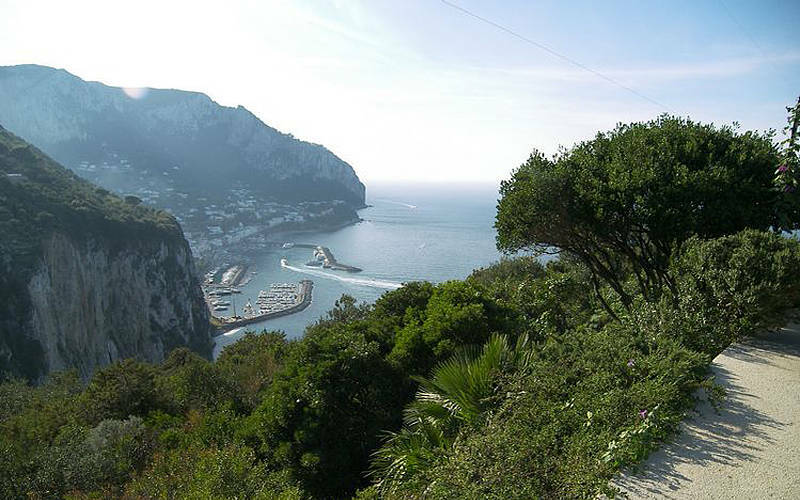 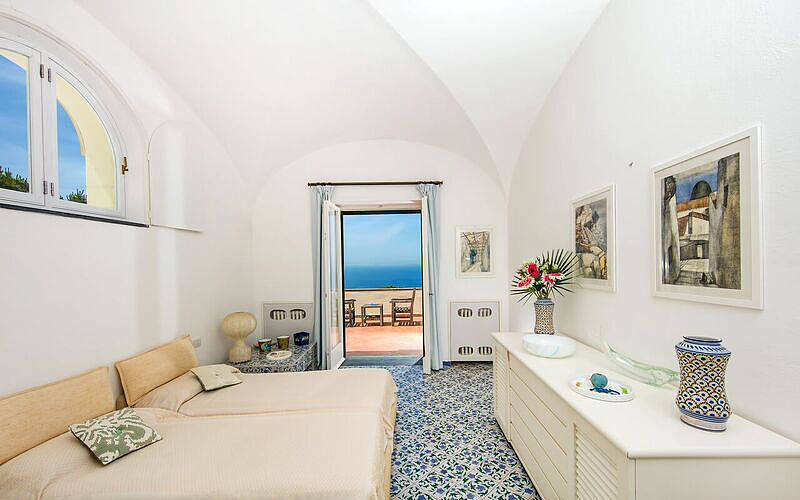 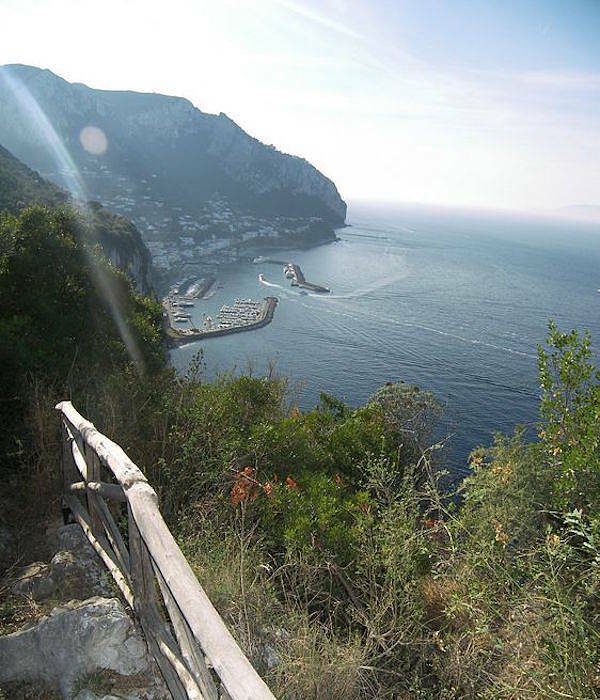 From the Piazzetta in Capri town, you can reach the villa in just 30 minutes by foot (the center of Capri is closed to traffic); once you've settled in, you'll never want to leave this dreamy paradise. 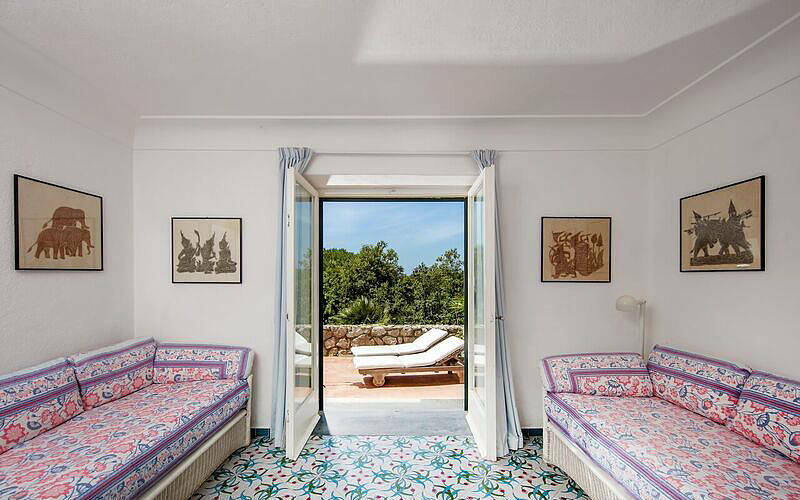 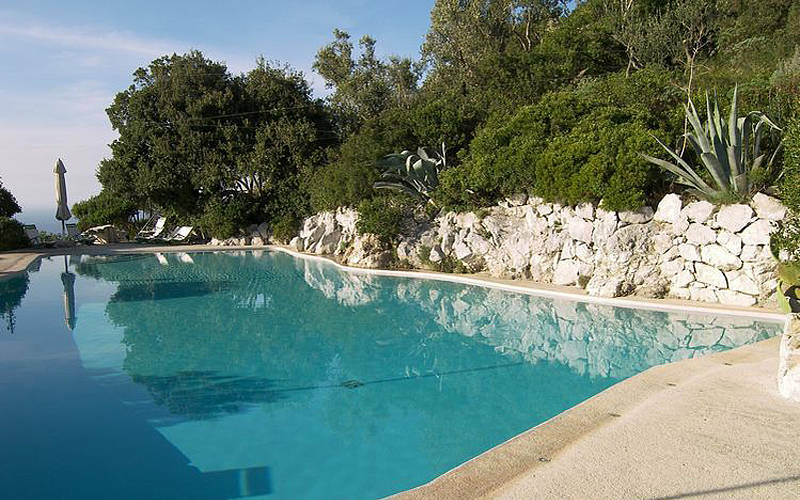 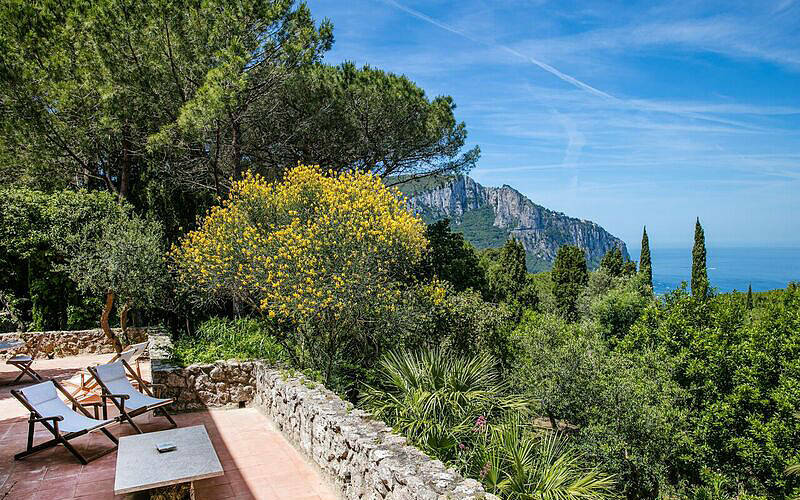 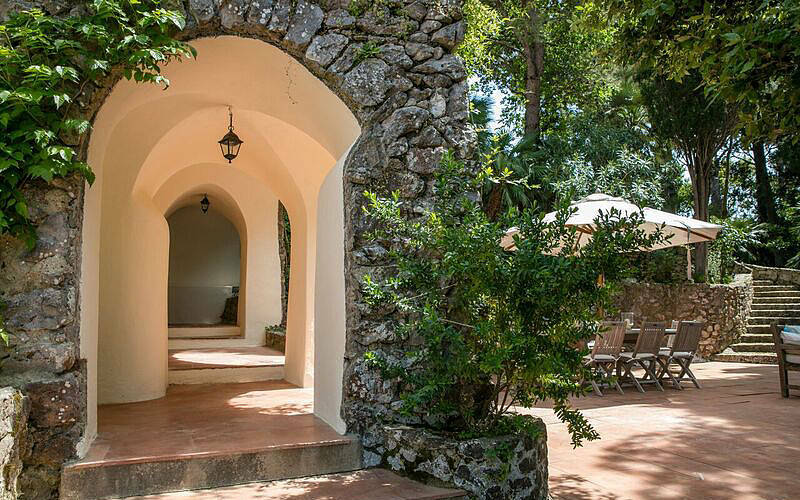 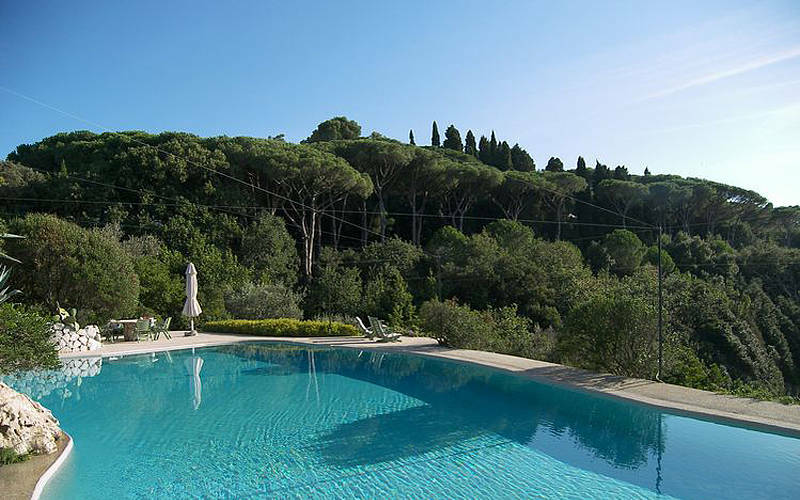 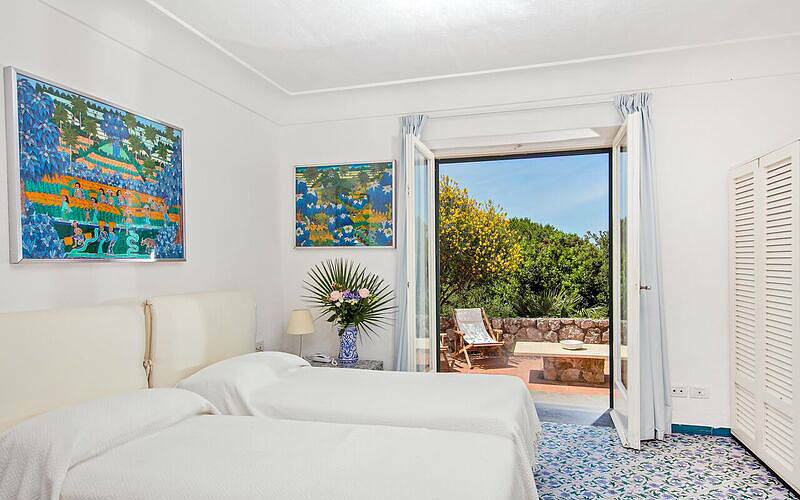 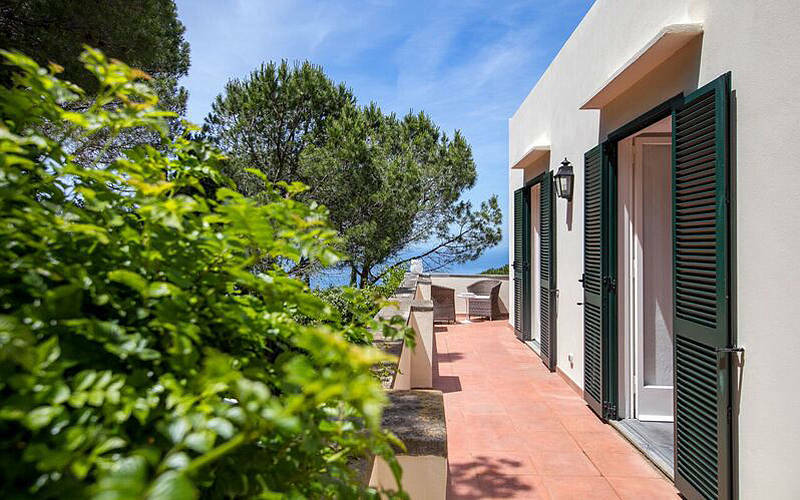 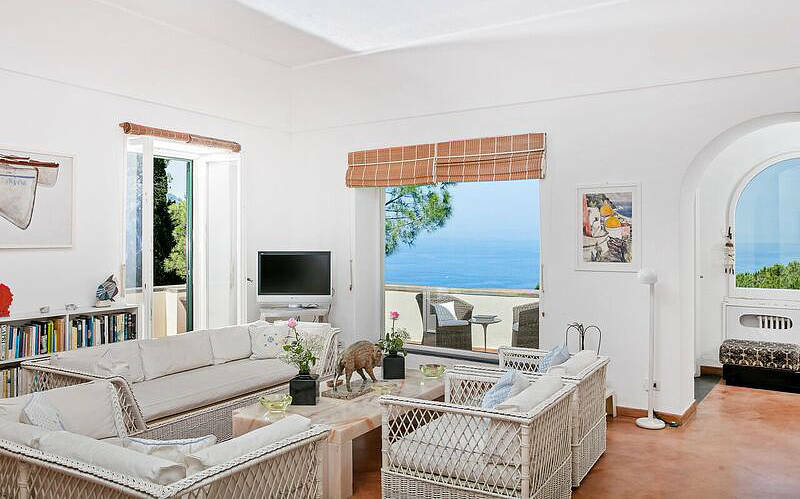 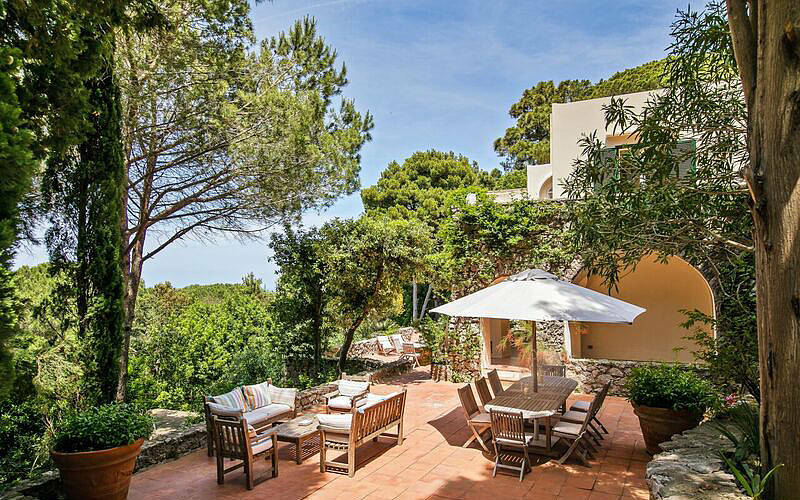 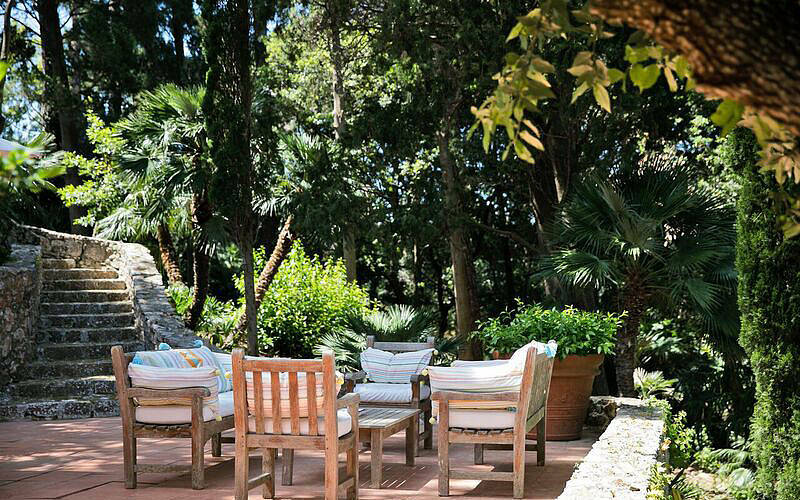 Surrounded by a lush island garden, Villa Jasmine is an oasis of peace and quiet...perfect for anyone who is looking for a retreat to relax and unwind on Italy's island of Capri. 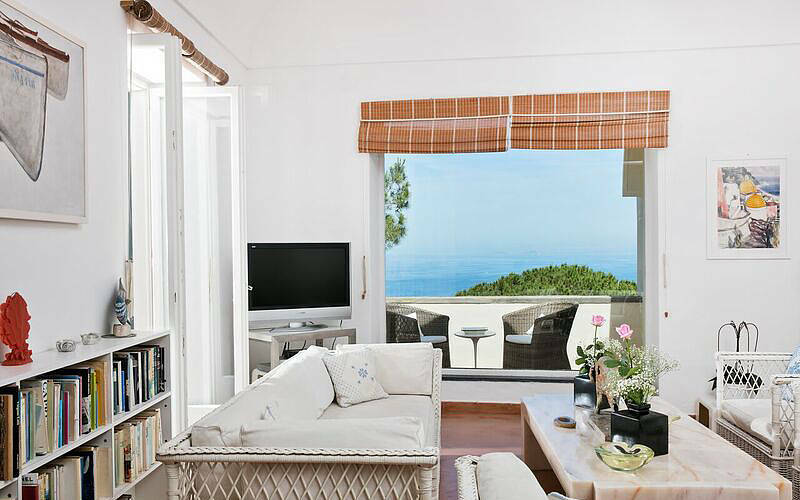 The elegant living room invites you to slow down as soon as you enter, with its airy and bright space furnished with comfortable sofas facing picture windows framing a stunning sea view. 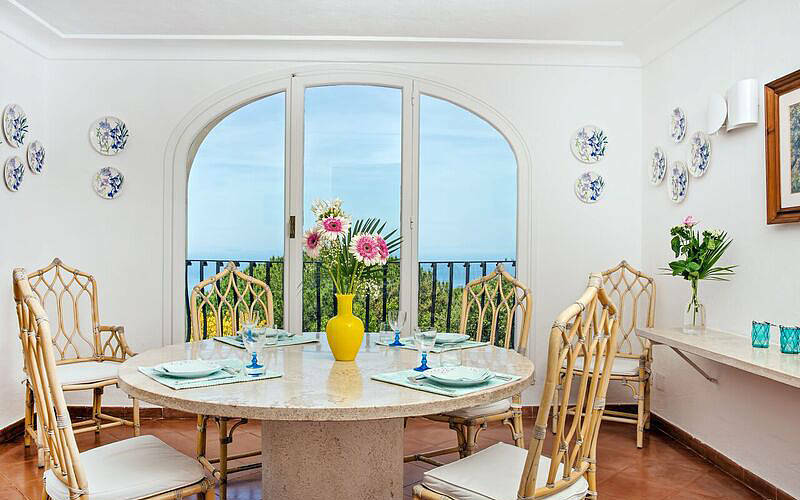 The adjacent dining room boasts similar views, and is the perfect spot for a leisurely meal with family or friends. 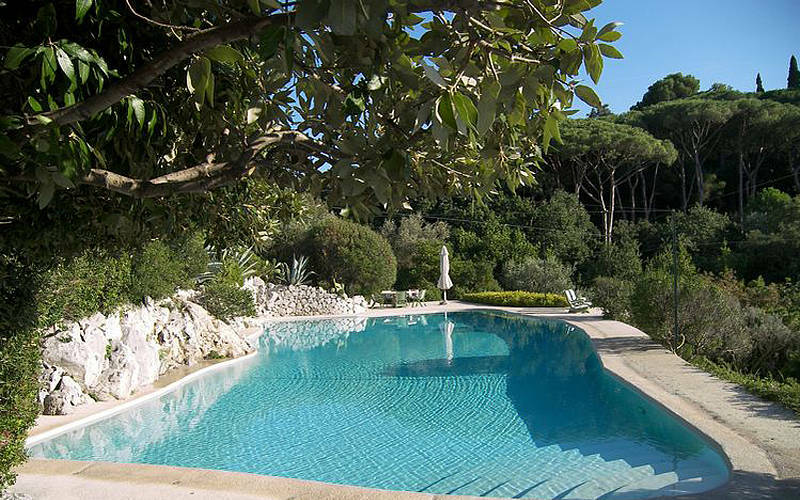 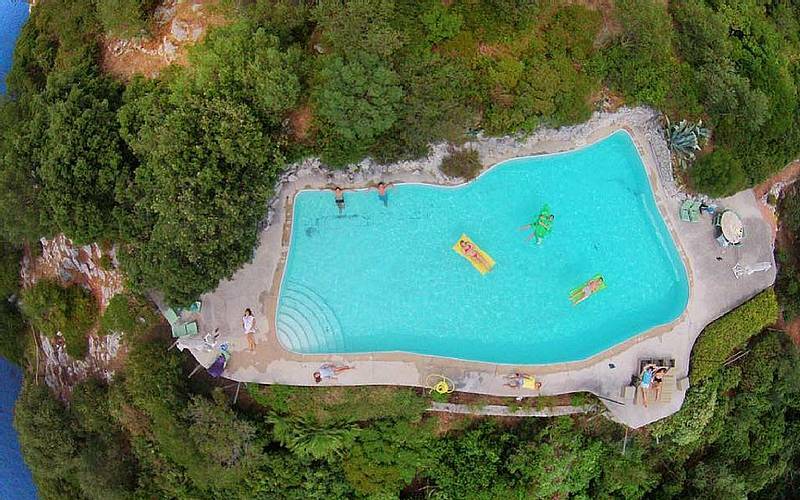 The jewel in Villa Jasmine's crown is the large pool located on a deck terrace directly over the water where you can savor the summer afternoons on Capri surrounded by perfect silence and with an endless view of the turquoise water and cloudless skies. 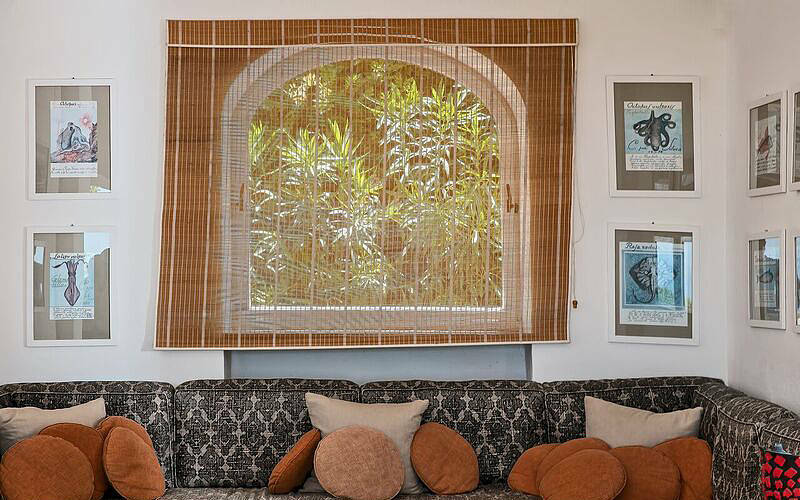 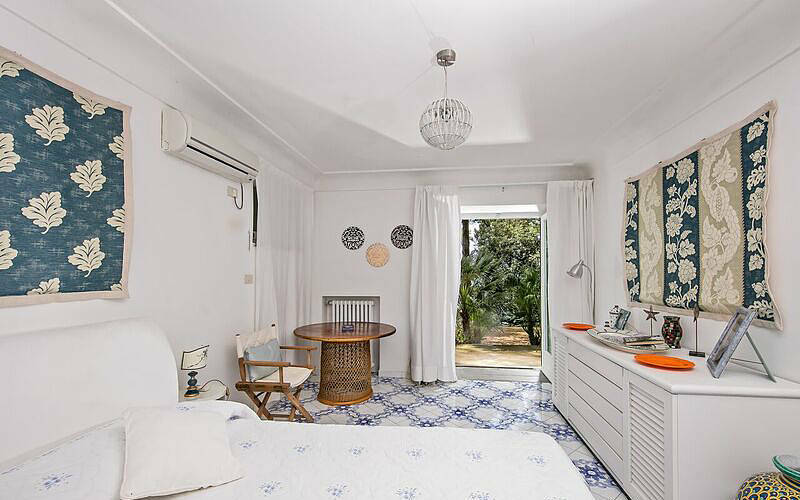 Villa Jasmine has a total of 6 bedrooms, all air conditioned: the master bedroom with a private terrace, two double bedrooms (one with a terrace overlooking the sea), a triple, and a single. 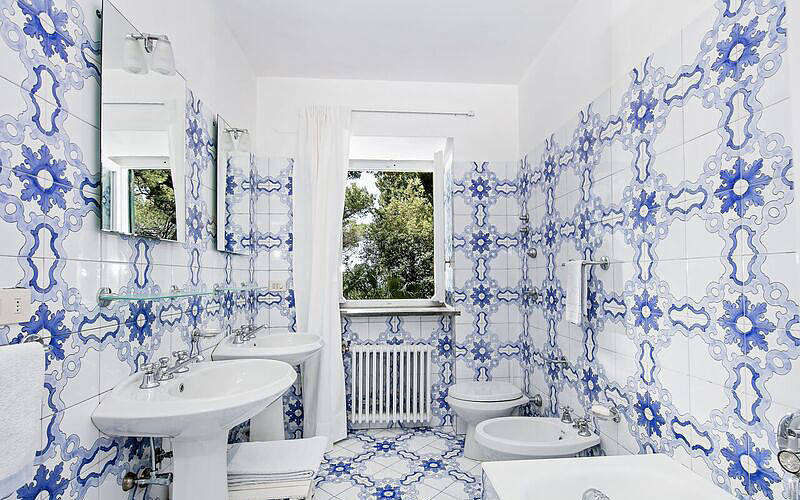 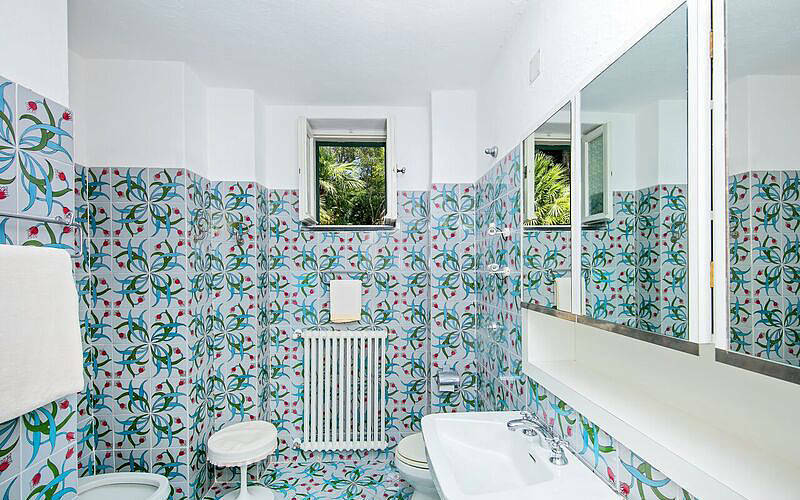 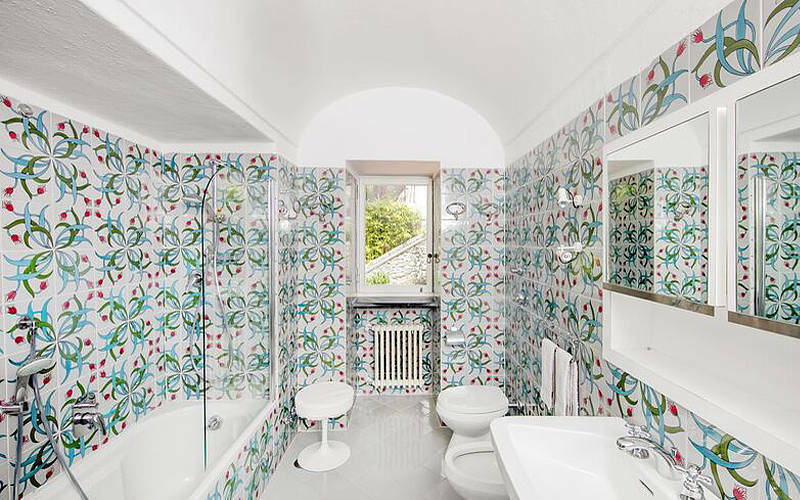 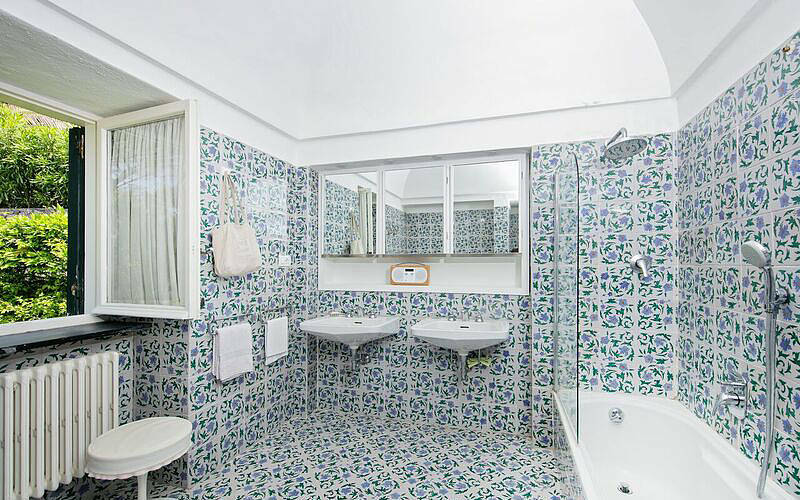 All bedrooms have a traditionally tiled ensuite bathroom with a tub; the single has a shower. 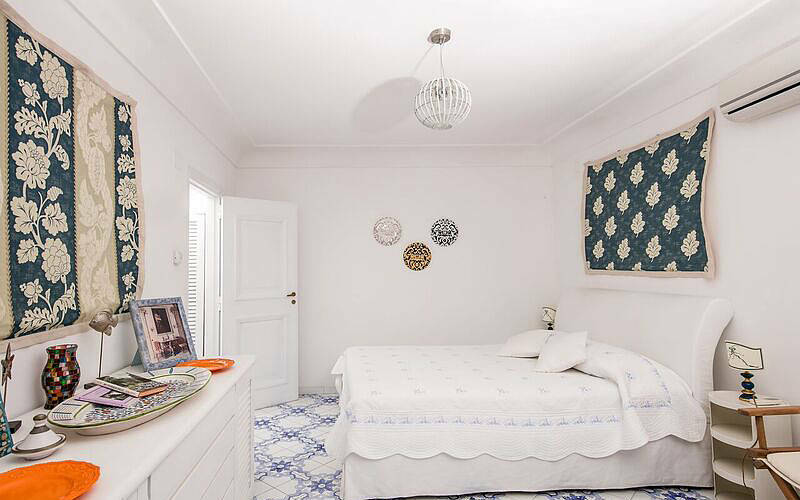 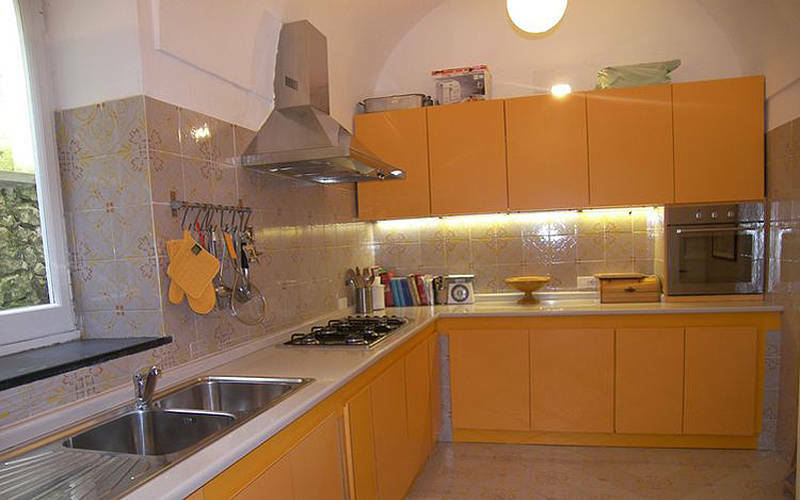 There is an additional bedroom in the small annex adjacent the villa, where there is also a laundry room.